Former NBC Correspondent Accuses Tom Brokaw Of Sexual Misconduct : The Two-Way Linda Vester, who spent a decade at NBC before going to Fox News, says the legendary news anchor groped her and forcibly tried to kiss her in the 1990s. Brokaw denies the allegations. 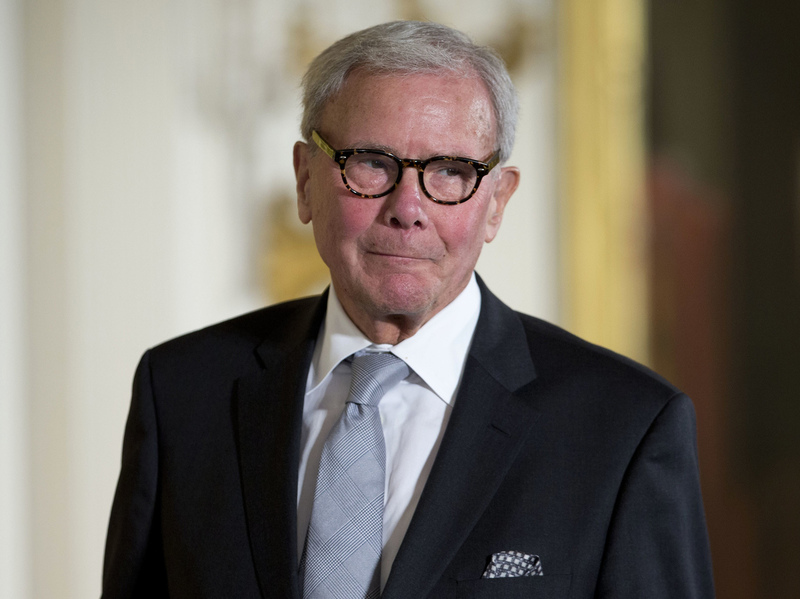 Journalist Tom Brokaw responded to the accusations: "The meetings were brief, cordial and appropriate, and despite Linda's allegations, I made no romantic overtures towards her at that time or any other." Vester produced contemporaneous journals that corroborated her story, the magazine says. Brokaw, now 78, initially responded through an NBC spokesman. "I met with Linda Vester on two occasions, both at her request, 23 years ago because she wanted advice with respect to her career at NBC," he said. "The meetings were brief, cordial and appropriate, and despite Linda's allegations, I made no romantic overtures towards her at that time or any other." Vester says that in Aug. 1993, she was in Denver to cover the visit of Pope John Paul II. "While I was standing there in the Denver bureau with my back to the door, from behind me, out of nowhere, Tom Brokaw walked up, put his hands on my waist and tickled me all up and down my waist," she said. "It was physically unpleasant and humiliating," Vester told Variety. "I jumped a foot [and] looked the editor of Nightly News in the eye. He looked back at me, and his jaw dropped." "No one did a thing," she said. "And, there was nothing I could really do or say because I was so low on the totem pole." She described another incident in New York when Brokaw insisted on visiting her in her hotel room and then twice tried to kiss her. "I felt trapped, because it wasn't a request, it was more like an order," she said. "I barely knew him and I didn't work for his broadcast," she said. "But when the most powerful man at the network sends you a computer message, you answer him." Vester, who was hired by NBC in 1989, left in 1999 to join Fox News, where she remained until 2006. According to Variety: "She's speaking out now, because she believes her story sheds light on the culture at NBC News, where she believes male bosses treated their female colleagues as objects. After Today co-host Matt Lauer was fired for inappropriate conduct involving an NBC employee last November, NBC launched an internal review of its practices but didn't bring in an outside firm to investigate — a step Vester believes is necessary to fix NBC's culture." Brokaw is one of several prominent media figures accused of sexual misconduct in recent months at various news organizations, including NPR. NPR correspondent David Folkenflik contributed to this report.